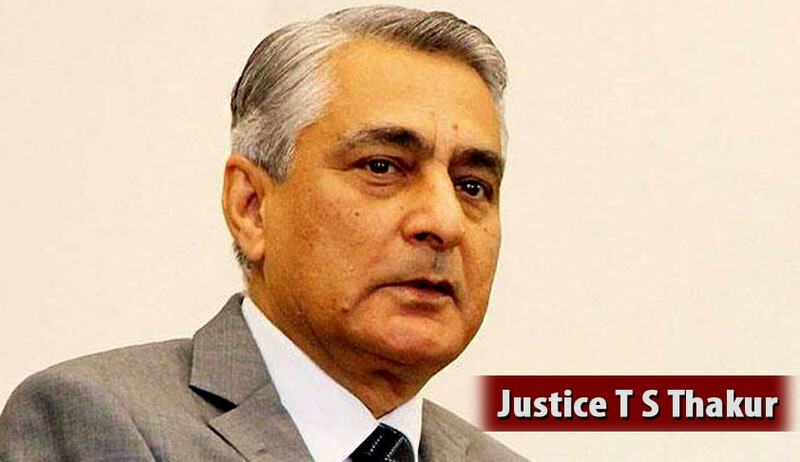 Leading forth the proposal for an All-India Judicial Services Examination, Chief Justice TS Thakur will meet Chief Justices of high courts to hold deliberations over it. The attempt, which is being opposed by many states, aims to streamline judicial appointments all over the country. The states are not completely supporting the idea, citing several issues that would come up during implementation. One of the problems being cited is that several states have used powers under CrPC and CPC to declare that local language will be used in lower courts, even for writing orders. In the above scenario, language would crop up as a major hold up for people from different regions. For instance, a person appointed to Tamil Nadu from Uttar Pradesh would find it difficult to hold proceedings. However the CJI’s move comes in the backdrop of recent overlap of final exam dates, which has brought many eligible candidates in a fix. A group of lawyers stated that high courts of Delhi, Allahabad and Karnataka fixed their examination dates from November 11 to 13, with nearly 50-60 candidates being common for all states. Distance played a crucial role for candidates, the worst-affected candidates will be from Delhi and its neighbouring state Uttar Pradesh as the distance between the two is the shortest, while for Karnataka, distance matters. The Delhi High Court held examinations on November 12 and 13, while Karnataka’s was held on November 12 and UP from November 11 to 13. However the proposal has being doing round in the government circles for long. In November 2012, a Cabinet Secretary led Committee of Secretaries had given an approval to a comprehensive proposal for creation of the service. So far, 15 states and 18 high courts (of 24) have responded to the proposal. Prime Minister Narendra Modi, during the 50th year celebration of Delhi High Court held last month, had backed the idea of having an All-India Judicial Service in place on the lines of all national examinations held for civil services. At present, judges for lower courts are mostly selected by HCs or the State Public Service Commission of respective states. Taking into account the enormous pendency of about three crore in district courts across India and the fact that the district courts are running short of 5,111 judicial officers, a step in the right direction will pave way for speedy justice.